A sensational use of custom concrete colors created bright inviting places for people of all ages in a busy shopping mall. 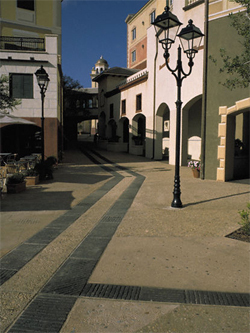 The retail center pedestrian areas were made by using colorful and durable architectural concrete Scofield Systems. A full range of Decorative Concrete Systems including Concrete Stain, Stamped Concrete, Concrete Resurfacing materials, Colored Concrete, Concrete Dye and Concrete Sealers and Hardeners from L. M. Scofield Company - the Leader Since 1915. 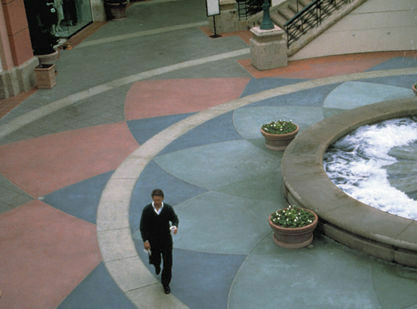 Click here for more information about Scofield® Decorative Concrete.